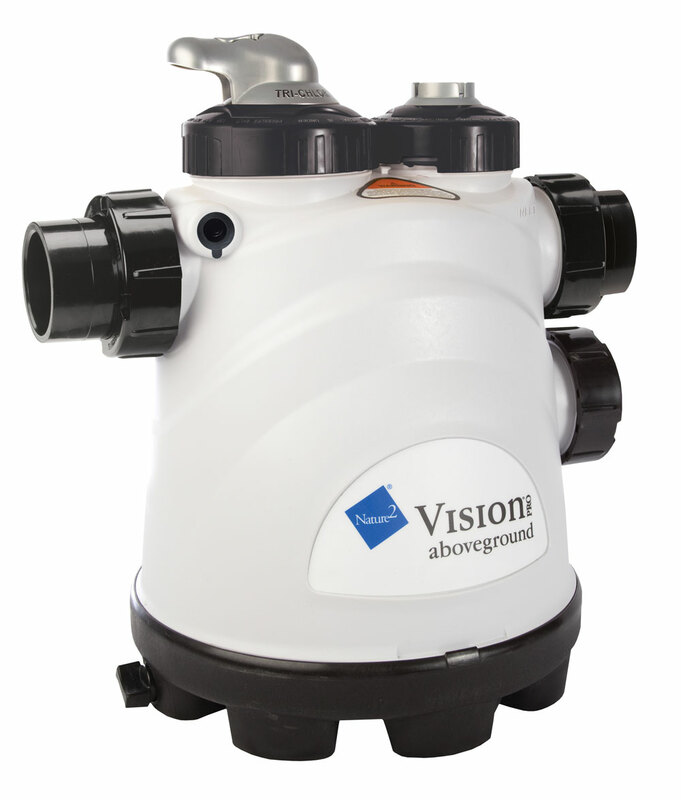 The Nature2 Vision Pro system brings the benefits of elemental ingredients to create pool water that is noticeably cleaner, clearer, and softer. 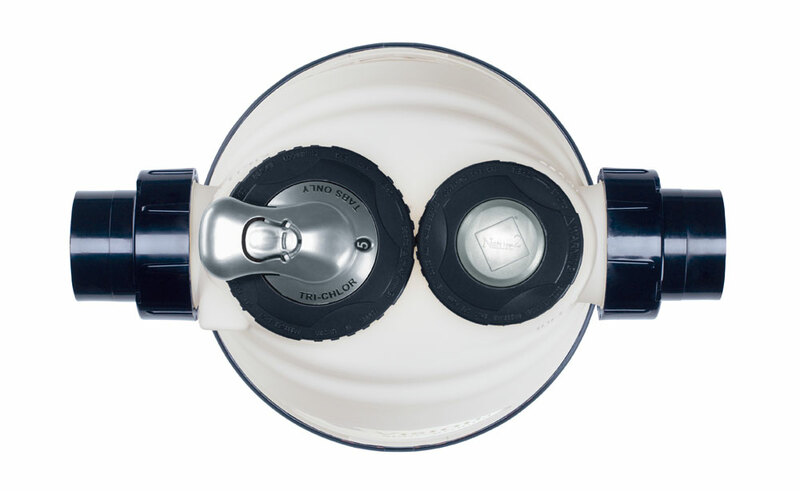 Chlorine adjustment - Control chlorine output with easy-to-read adjustment handle. Convenient universal union connectors - Connects easily to any 1 1/4" or 1 1/2" pipe, thread unions included. Tri-Chlor Tablet Capacity: Approximately ten 3" tabs, or over 3 lbs. of 1" tabs. 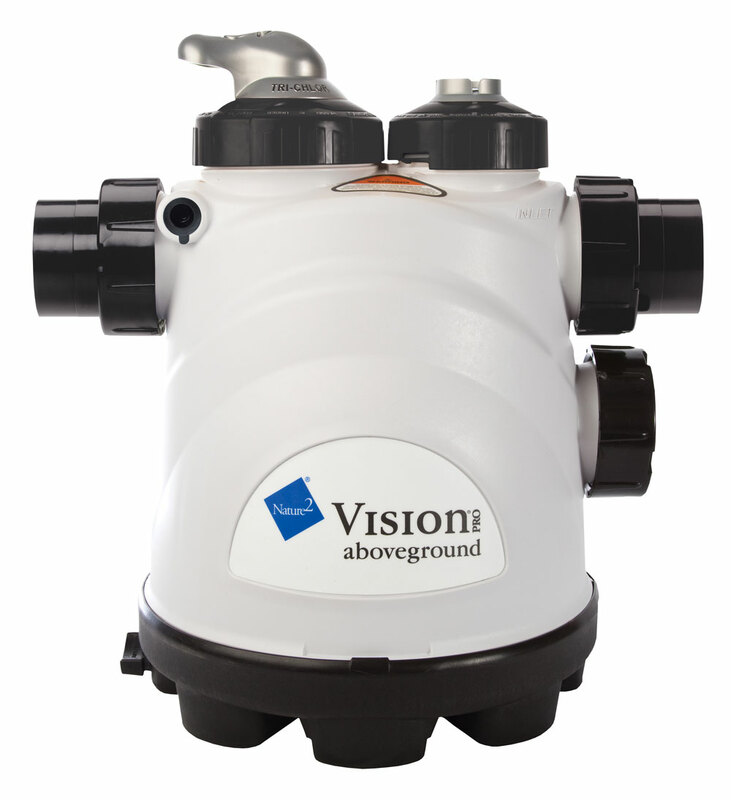 Uses Nature2 Vision Pro Cartridge #50001700 for aboveground pools up to 130,000 Litres (34,300 Gallons). Do not use with any other cartridge.